Walmart Savings Catcher 1.0 was fun while it lasted, but the program is changing to make it less generous. It’s still well worth using, though. Most notably, Walmart Savings Catcher will no longer compare prices at drug stores like CVS, Rite Aid and Walgreens, so if you see two-liter bottles of soda for 99 cents at CVS, you’ll have to buy them at CVS to get that price. 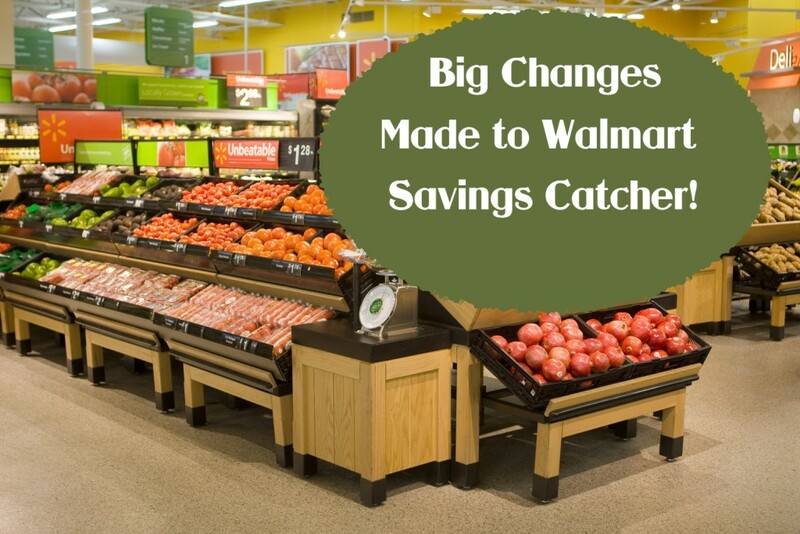 Walmart Savings Catcher also has stopped comparing prices on bakery or produce items, eliminating Savings Catcher’s easy price matching on tomatoes, cantaloupes, grapes, strawberries, onions, bagged salads and so forth. Walmart Savings Catcher Terms of Service and FAQ fully describe what Savings Catcher price matches. Walmart Savings Catcher remains worth using every time you shop for groceries at Walmart, despite its new limitations. It continues using a third party vendor to scan prices in your local sale ads for grocery stores, mass market retailers such as Kmart and Target and dollar stores such as Dollar General and Family Dollar. Walmart still offers Savings Catcher on most brand-name grocery-type merchandise, including frozen foods, soda, juice, cereal, paper towels, laundry detergent, toilet paper, shampoo, makeup, trash bags, cookies, chips, crackers, packaged lunch meats and cheeses, yogurt, butter, cream cheese, soy milk, bacon and sausage. Walmart Savings Catcher makes it much easier to shop in one grocery store and still get most of the sale prices you’d have gotten at other retailers. Savings Catcher doesn’t match prices on buy one, get one free (BOGO) offers or any other sales that don’t specify an actual price, such as percentage off ads. Of course, Walmart also doesn’t double coupons, but does accept them at face value. Savings Catcher doesn’t take into account what you saved using coupons, using the store’s actual price as the comparison point rather than what you paid after using a coupon. For example, if Walmart’s price on Goldfish crackers is $2 and you used a 25 cent coupon to receive a final price of $1.75, Walmart will still compare the price as $2. If a competing store has Goldfish crackers advertised for $1.50, you would receive 50 cents in your Savings Catcher account, based on Walmart’s price of $2. Savings Catcher’s price matching is based on UPC codes, so only products with exactly matching UPC codes will be compared. You’ll need a Walmart.com account to use Walmart Savings Catcher. After shopping at Walmart, you can scan a bar code on your receipt into Walmart’s smartphone app or enter the number into Walmart Savings Catcher online. You’ll quickly receive an email confirming that your cash register receipt was received and accepted. A few days later, you’ll receive another email letting you know how much money you saved. You can choose to continue accumulating money into your Walmart Savings Catcher account or you can cash out for a Walmart e-gift card at any time. You can also choose to transfer your Walmart Savings Catcher money onto an American Express Bluebird card. Boscovs Black Friday Ads on NOW!